This book will enable all readers to consider contemporary wars from an exceptional point of view – a child’s point of view. It is meant more particularly for primary and secondary school teachers who would like to talk about war in class. It is not aimed directly at children – some drawings and their captions are very violent and may upset young children. But they must also spark debates and analyses by bringing to the fore the way children apprehend conflicts. 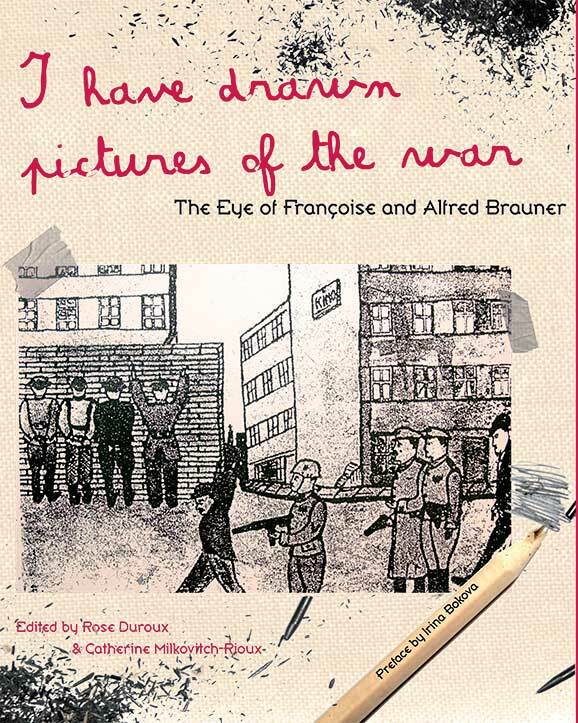 And that is what a journey through the Brauner collection has to offer: a feeling of rediscovering what children say about the war, of hearing paper voices. This book has been realized from the exhibition presented under the high patronage of the UNESCO and within its Programme for the Education of Children in Need, with the support of the National Research Agency, Auvergne Regional Council, Clermont-Ferrand Town Council and International Relations Mission, the Memory Auschwitz Foundation, UNED-Santander, Madrid).